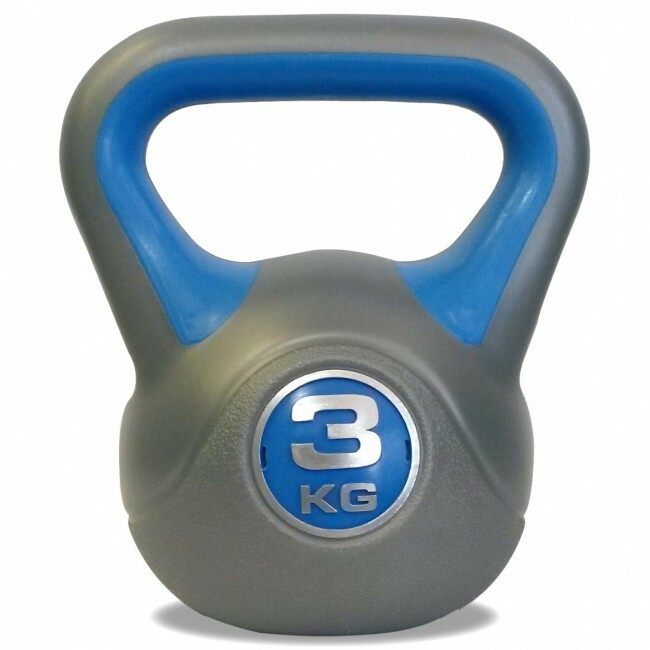 The DKN vinyl weight set comprises of 3 kettlebells of various weights: 2kg (4.4lbs), 3kg (6.6lbs) and 4kg (8.8lbs). 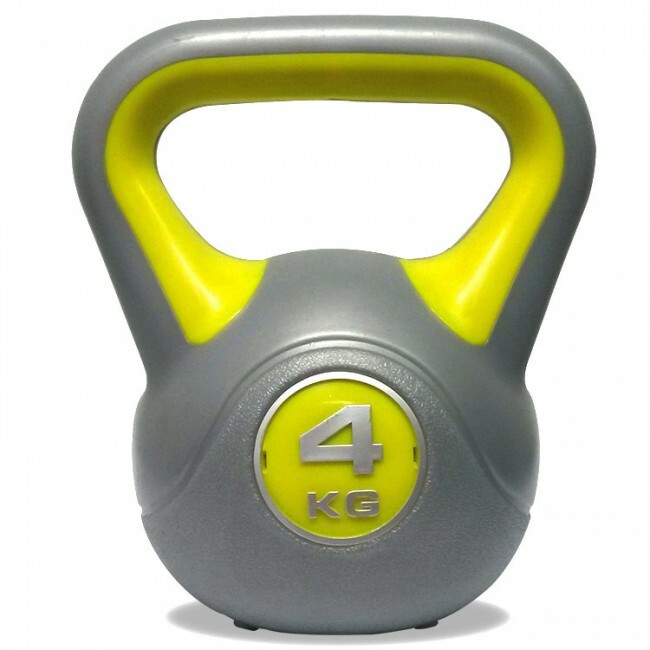 The kettlebells are a great choice for those who want to tone their muscles, develop core and functional strength and strengthen their joints as they work a complete range of muscles when you swing them backwards and forwards or from side to side. 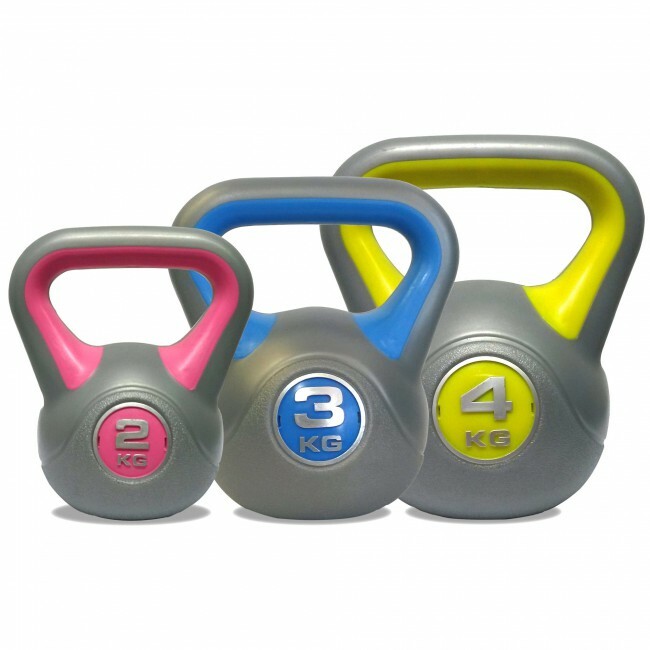 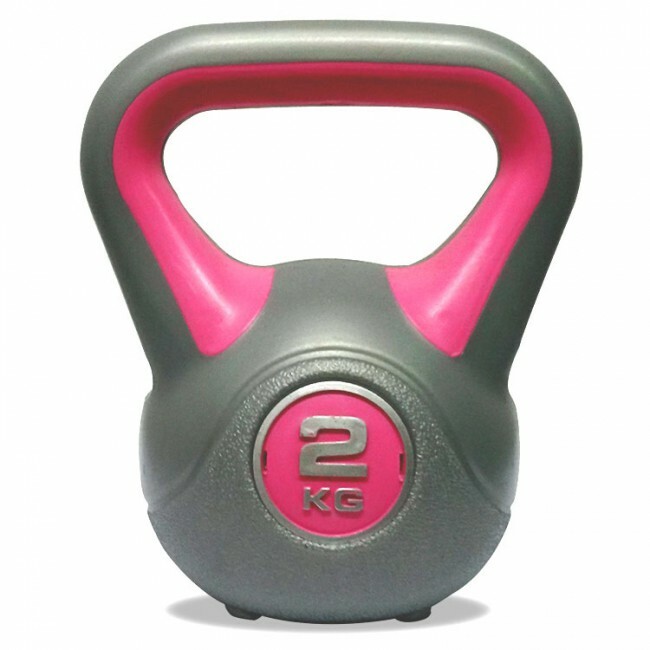 These vinyl coated kettlebells have a strong moulded construction with an ergonomically designed handle for enhanced comfort. 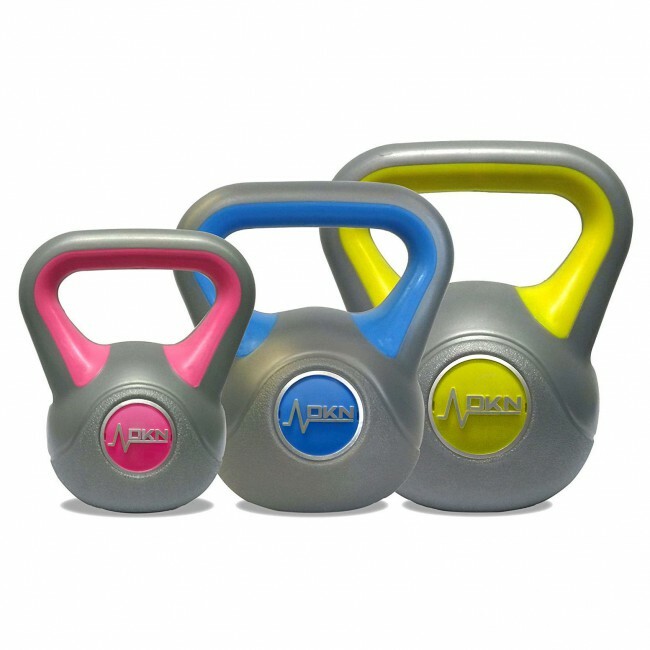 They incorporate an anti-slip base ensuring extra safety and are supplied with a fully detailed workout chart.